MoreEllis & Ellis' practice is in trust, estates and tax law. The firm represents individuals in their estate planning. Recognizing each family is unique, Ellis & Ellis strives to customize estate planning to suit the family's specific needs. In estate planning, we prepare revocable and irrevocable trusts, wills, durable powers of attorney, and advance directives to physicians. For clients with businesses, we assist with entity selection and tax planning. 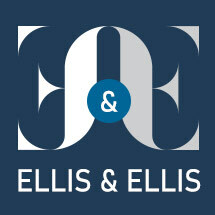 We prepare incorporation documents...Ellis & Ellis' practice is in trust, estates and tax law. The firm represents individuals in their estate planning. Recognizing each family is unique, Ellis & Ellis strives to customize estate planning to suit the family's specific needs. In estate planning, we prepare revocable and irrevocable trusts, wills, durable powers of attorney, and advance directives to physicians. For clients with businesses, we assist with entity selection and tax planning. We prepare incorporation documents, limited liability companies and partnerships. Buy-sell agreements and pre-marital agreements are also part of our practice. In the area of tax planning, we advise on tax deferred exchanges under §1031 of the Internal Revenue Code, sophisticated tax planning for sellers and buyers of business interest, and provide advice regarding federal estate and gift taxes. We also represent clients with litigation issues involving trusts, probates and will contest.